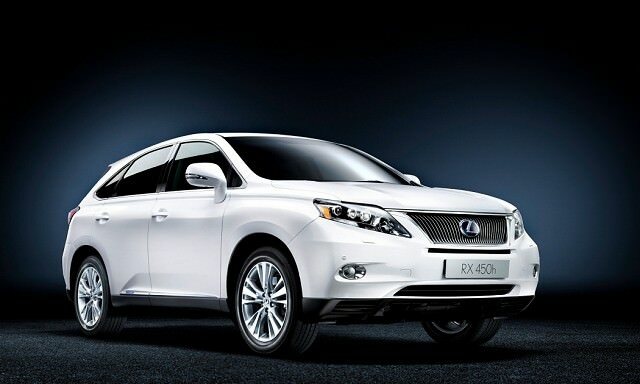 Now in its third generation the Lexus RX has long carved its own path in the SUV segment. Now in its third generation the Lexus RX has long carved its own path in the SUV segment. Focusing more on sporting, sleek looks than the chunky norm of its competition the RX is more car-like to drive, too. It pretty much introduced the idea of a hybrid crossover to the world, as well, Lexus introducing hybrid power as far back as the second generation model in 2005. In all but a handful of markets it's now a hybrid-only model, mating a 3.5-litre V6 petrol engine to an electric motor for improved economy and performance. Introduced in 2008 and given a slight makeover in 2012 the RX isn't so much a range of models in Ireland, as a single version with a variety of trim levels. The engine is a 3.5-litre V6 petrol unit, mated to an electric motor set up that allows it to deliver credible economy and emissions despite its size, weight, luxury and power output. It's always been an individual choice, the RX more 'crossover' in its make-up than SUV - it unlikely any RXs ever see any off-roading beyond a gravel car park. Four-wheel drive is available, though with it the rear wheels are driven by an additional electric motor rather than a physical link from the petrol engine. With the front-wheel drive models both the petrol engine and electric motor juggle their outputs to deliver the best compromise between economy and performance. It's a big car physically, but it's not as spacious inside as you might anticipate, the boot being small and high to access. It's very much Japanese in its luxury inside too, which means lots of painted plastics, some shiny leather and plenty of gadgets. The central screen is operated by a curious computer mouse-like controller - which takes a fair bit of practise to get used to. It's quiet and comfortable to drive, though it takes commitment to maximise the potential from that hybrid system; use all its power and the fuel bills will be barely lower than a conventionally-powered SUV. Engine: 3,456 V6 petrol with electric motor. A SUV that's different in many ways to the norm, the RX's hybrid powertrain allows it to offer luxury without overly punitive running costs. A generous level of equipment, high refinement and certain reliability all count in its favour, but real-world economy won't be as good as you might hope.